Celebrate your birthday with your family and friends! 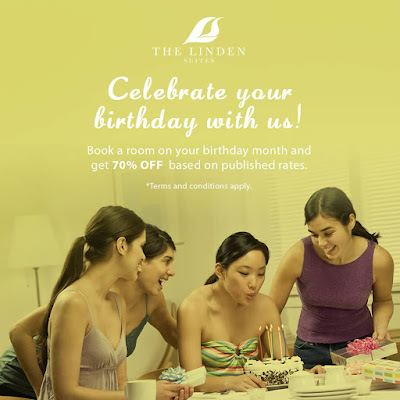 Check out The Linden Suites Birthday Promo. 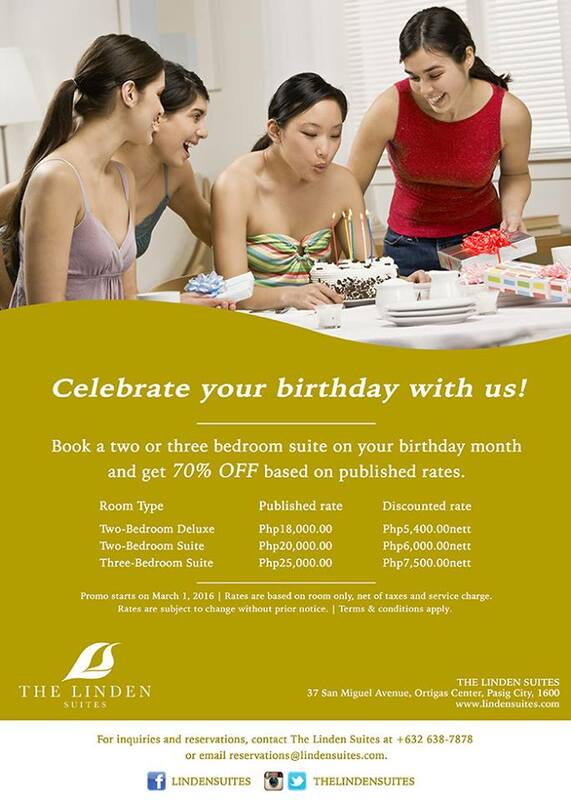 Book a two or three-bedroom suite on your birthday month and get 70% off on published rates. For inquiries and reservations, please call The Linden Suites at (632) 638-7878 or email them at reservations@lindensuites.com.